We take pride in our dedicated and professional veterinary staff. We hope that at every visit you will experience the care and concern that each staff member has for your pet. Our team members regularly participate in continuing education programs to learn how to help you take the best possible care for your pet. It is our hope to build a long-lasting relationship with you, thereby strengthening the bond between your family and your pets. 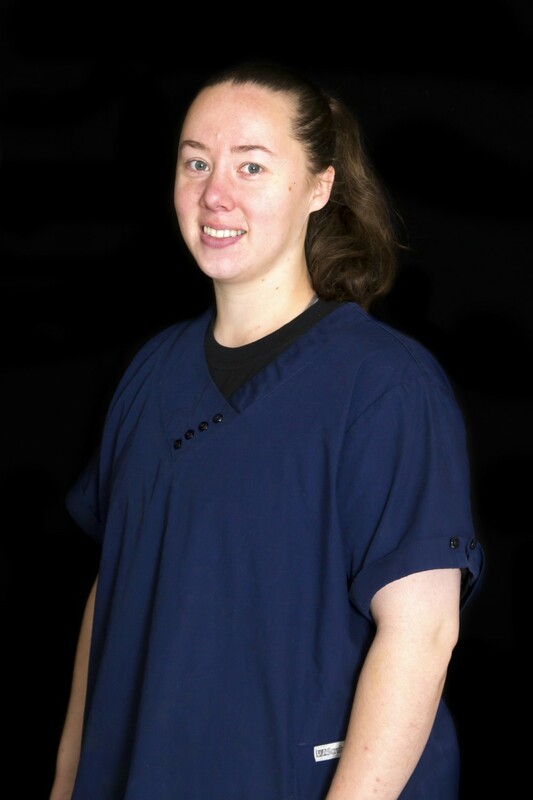 Kim joined EFVH as a veterinary technician in 2013 after working in the veterinary field for over 16 years. She is involved in client education and preventive health care as well as medical and surgical cases. She also is proficient in helping client services in the front office when needed. Kim also uses her running to help owners around the area to exercise their dogs. She has always had a passion for helping animals. Kim lives a few miles out of Estacada with her husband, Jeff and son, Thomas. She loves her 3 dogs and 2 cats, horse, cows and goats. In her spare time, she enjoys running, hiking, horseback riding, skiing, and spending time with the family. 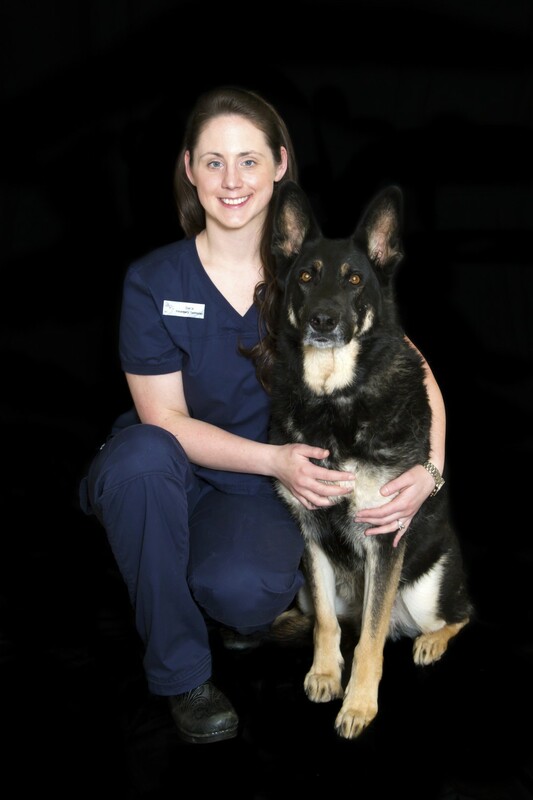 Sara joined the Eagle Fern Veterinary team in 2009 after serving 8 years in the United States Navy. She graduated in 2013 from Penn Foster College with a Associates Degree in Applied Science in Veterinary Technology. 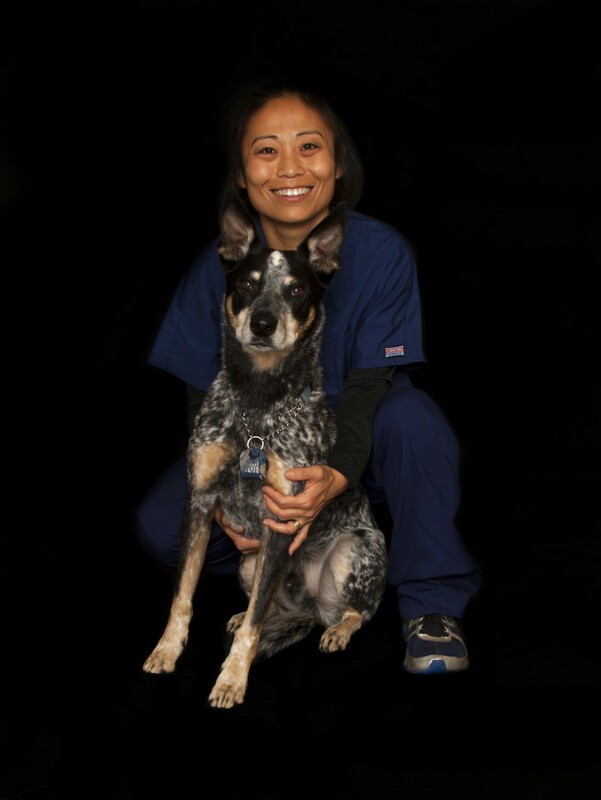 She is Certified in Radiology and completed the Veterinary Technology program through the American Society of Veterinary Dental Technicians. 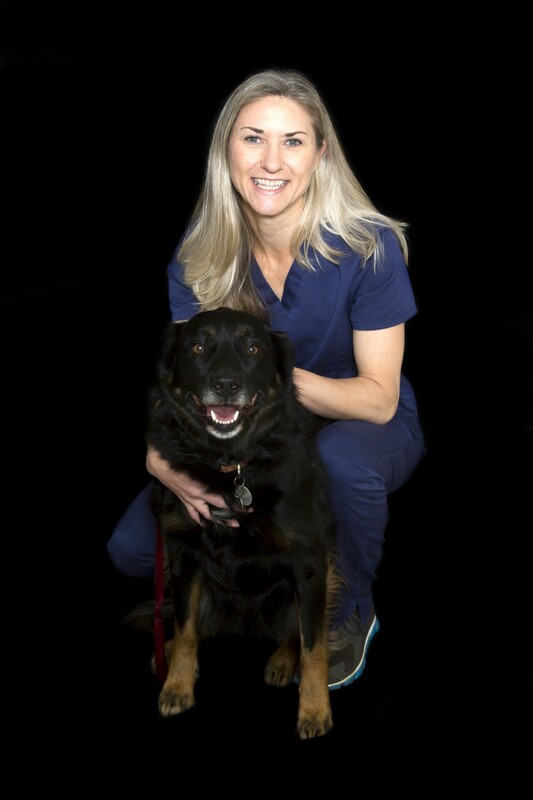 She also has a interest in pain management and emergency medicine and is Certified in Basic and Advanced Life Support by the American College of Veterinary Emergency and Critical Care. Sara enjoys reading, sewing, and spending time with her Husband Nathan. They have 2 dogs, 2 goats, and many rabbits. Tawni joined the Eagle Fern Veterinary Team in 2016. Tawni has a Associate of Arts degree from Mt. Hood Community College and is a 2016 graduate from Carrington College with a Veterinary Assistant Certificate. She is also certified in radiology technology. She brings with her 16 years of laboratory and safety quality control experience. Tawni enjoys volunteering for Estacada Relay for Life and is involved with the Lions Club, Moose Charities, Doggie Dash and Bark for Life. She is devoted to the local community and her century long family history in the area. She lives in Sandy with her husband Steve where they enjoy camping and outdoor activities with their two dogs Abby & Tucker. 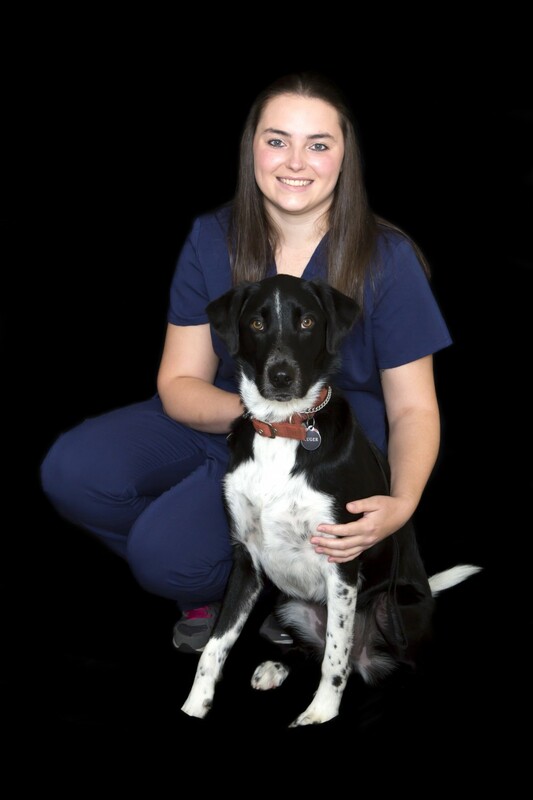 Amanda Joined the Eagle Fern Veterinary team in August of 2015 as a Veterinary Assistant. Amanda helps assist the doctor and technicians in the treatment area with blood draws, laboratory work, taking radiographs, cleaning surgical instruments and helping with animals staying with us at the Hospital. Amanda graduated from Estacada High school and has lived here almost her entire life. In her free time, Amanda enjoys camping and spending time with her 3 horses, Zip, Koda, and Reo. Alex joined the Eagle Fern Veterinary Team in July of 2016. She graduated Gresham High school and the Center for Advanced Learning. In 2015, Alex received her Associate of Science Degree from Mt. Hood Community College and is currently enrolled online in Penn Foster College's Veterinary Technician Associates Degree Program. Alex helps assist Doctors and Technicians with exams, blood draws, diagnostic testing and educating clients on pet wellness. She has a horse named Emblem and a dog named Ruger. She enjoys horseback riding, camping and working with and caring for animals. Tia joined the Eagle Fern Veterinary Team in July of 2017. Tia graduated from Carrington College and completed her Veterinary Assisting Certificate Program in 2016. She is also Certified in Radiology and is hoping to continue her education in Penn Fosters Veterinary Technology Associates Degree program to become a CVT. Tia grew up in Welches, Oregon. She owns a Blue Heeler/Australian Shepherd named stormy who she shares with her boyfriend John Paul along with a newly adopted Black lab named Tucker. She enjoys hunting, fishing, hiking and spending time with friends and family.